The smooth construction of these canes ensures crystal clear ice. Ice Canes are made with a slight taper to enable the block of Ice in thawing. Our superior heavy-duty Ice canes ensures leak proof services. Backed by industry expertise of many years, we are renowned for our range of Refrigeration, Air Conditioning and Heating Equipment. We implement the most advanced technology and strategies to deliver products of high quality and durability to our clients. Our product range includes Spiral Finned Tubes, Thermic Fluid Heat Exchangers, Air Cooling Unit- Bottom Flow, Air Cooling Unit- Front Flow, Atmospheric Condensers, Evaporator Condensers, Trunk Coils, IBT Coils, H.P.L.P. Receivers, Air Curtains and Cold Storage Doors. Apart from these we also offer Diffusers, Steam Radiators, Spiral Finned Tube (Any Diameter & 20 Ft long), Spiral Finned Tube Made With MS Tubes With CRC Finns, MS Tubes with Aluminum Finns and MS Tubes with GI Finns. To ensure that our products are of high standards we make use of special grade Seamless / ERW, C- class metal that is sourced from authorized distributors of Tata and Jindal. 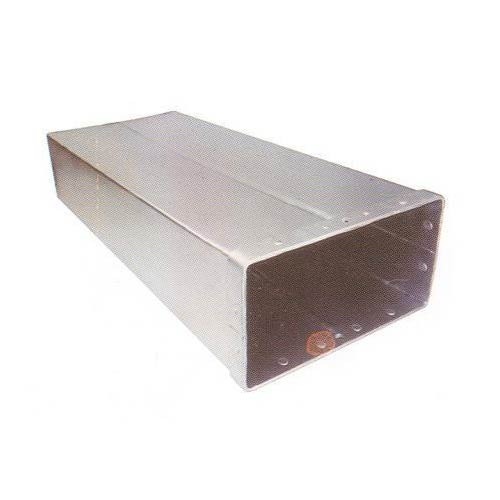 The range of products that we offer have various benign features like easy installation, long working life, resistance to corrosion and so on. These products fulfill requirements in various industries like beverage plant, chemical industries, refrigeration industry and many others. Further to enhance client satisfaction, we also provide customized solutions to them at affordable price range. We also provide 12 months guarantee to our clients.